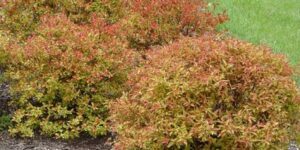 Ornamental Shrub with Outstanding 3- Season Color The Double Play Big Bang Spiraea is an ornamental shrub with extensive displays of color. 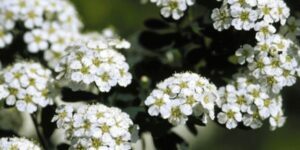 It would be a stand out in your landscape as a mass planting, or even as just a few plants scattered amid your perennial bed. Your Spiraea would have been better named a “triple play ” with its orange, yellow and pink blasts of color. 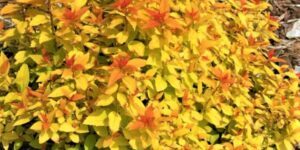 With a Double Play Big Bang Spiraea you’ll get spring, summer and fall color all at once, and all summer long! 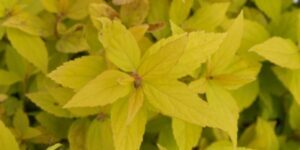 Your Spiraea begins its dazzling display in the spring with orange-hued foliage, that transitions to lustrous yellow all summer long before returning to a golden orange for autumn. 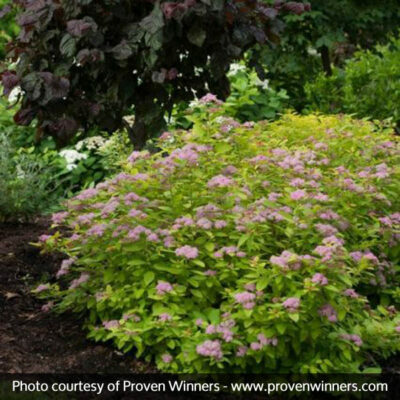 With such unusual and brilliant color, your Spiraea is sure to turn heads wherever you plant it in your landscape. 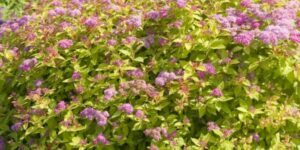 As if the radiant foliage isn’t enough, your Spiraea will also grace your yard with the largest flowers of any Spiraea you’ll ever see. 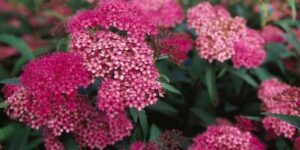 Giant clusters of blossoms will adorn your Spiraea with a burst of bright pink color in the spring, and last into mid-summer. It’s a show-stopper to be sure! 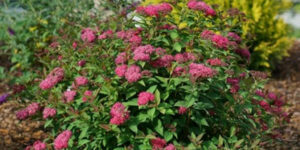 Your Double Play Big Bang Spiraea will grow 3 feet tall with an equal spread. Deadheading after the flowers have faded will encourage repeated blooming, but it’s generally carefree. Deer don’t seem interested in it, but bees and butterflies will appreciate you having a few in your yard. 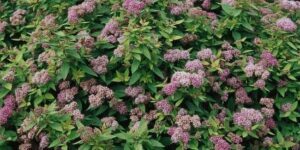 Overall, the Double Play Big Bang Spiraea is great investment in an ornamental shrub. For the small amount of space it requires and little care, it certainly provides an abundance of color and beauty.